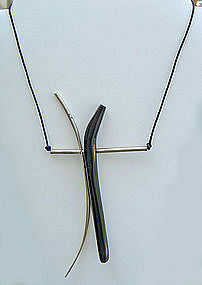 Betty Cooke modernist sterling necklace with black coral element threaded on black leather cord. Coral measures 5 1/4" long. Adjustable leather cord. 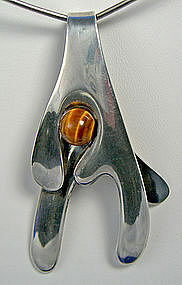 Elis Kauppi modernist sterling necklace with tiger eye. Finland - Circa 1965 - 70. Pendant 3 1/2" x 1 5/8", neck ring 5" x 5". 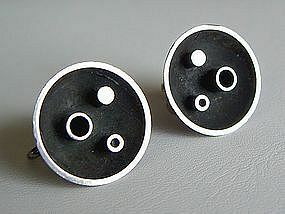 Both pendant and neck ring are marked. 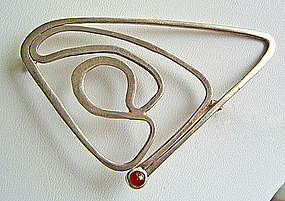 Ed Levin modernist sterling abstract brooch with stone. 1 1/2" x 2 1/2". 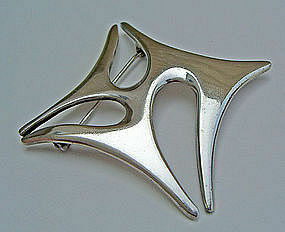 Borresen and Lassen modernist sterling silver brooch - Denmark. 2 1/2" x 2 1/2". Excellent vintage condition - minor surface scratches. 1 3/8" long x 1 1/2" wide. Condition - excellent with age appropriate patina. 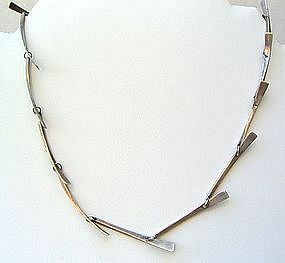 Fridl modernist sterling silver necklace. Measures approx. 14" when outstretched. 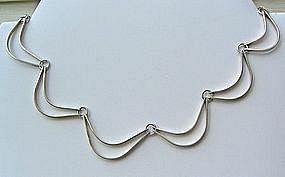 Merry Renk, modernist sterling silver necklace. 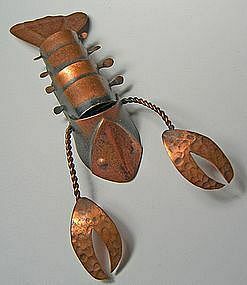 Classically simple interconnected forms superbly balanced and beautifully crafted. Measures approximately 16 1/4" outstretched. 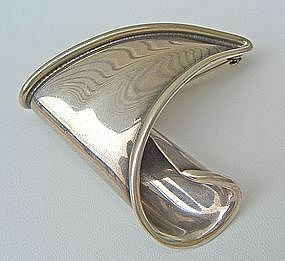 George Salo American modernist jewelry sterling silver brooch. Measures - 2" x 2". 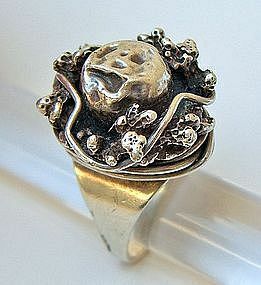 Rebajes modernist hand wrought sterling ring. 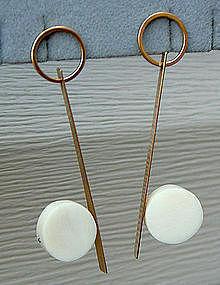 Front - 7/8", stands - 1/2", presently a size 8 but the ring is adjustable. 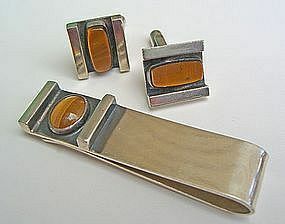 Vintage modernist bronze belt buckle made by Carl Tasha, c.1970s. 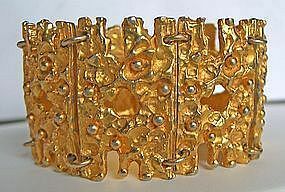 The buckle is in excellent condition and measures 3 1/2" x 7/8". Signed C. Tasha, 112/1000. Limited edition. Silver with glazed ceramic 'stone'. Pendant - 2 1/2" x 2 3/4". 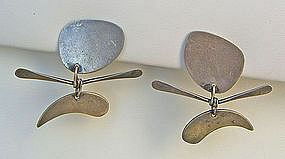 Exceptional pair of modernist sterling silver earrings. 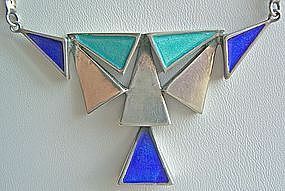 Ottaviani sterling and enamel necklace. 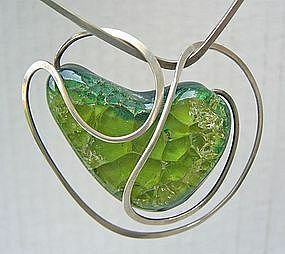 16" outstretched, pendant - 2 1/2" x 1 5/8".